Subsequent to testing, we consulted with VorCat about its software technology. 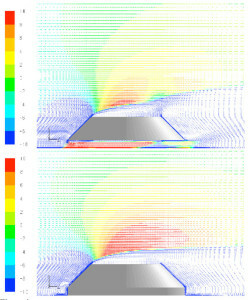 VorCat, Inc. has advanced current Computational Fluid Dynamics (CFD) capabilities for designing next generation energy-related technologies with means for simulating turbulent flow containing moving boundaries such as rotating blades. Details of their technology are available at the VorCat website. Verifying and applying the capabilities of the VorCat scheme within the context of Wind Energizers offers great potential for affecting a very significant advance in energy engineering. They performed simulations for us that confirmed the simulations of Professor Rosenfeld, who used different software. Even though it is clearly advantageous to have a connection to the ground to have an excellent result, it is not necessary, as the demonstration project from the Negev, which had a gap, showed. 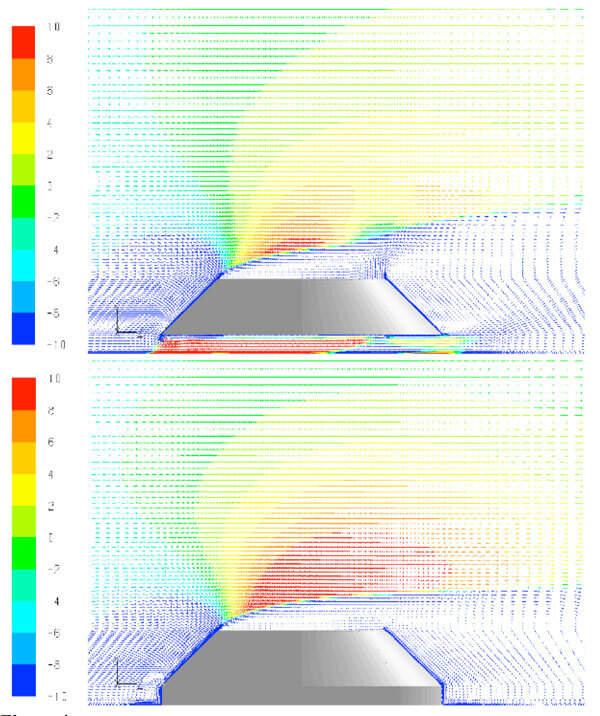 An important question, particularly in terms of influence on Levelized Cost of Energy (LCOE), is the question of the necessity of building a 360-degree structure, which is obviously more expensive, so we addressed the question of the possibility of making a partial structure primarily in the direction of the wind. We have shown that the flow in the rotor plane is not adversely affected in any of the cases, while in the design case of wind coming from the front, there is a significant favorable velocity increase. This invention is innovative in another way as well. Gearbox breakdown is a headache for the wind industry. It is well known to result from the natural inequality of wind at different levels. This is a way to mitigate that issue to a large degree. Note that in Figure 3, nearly uniform wind at a velocity of 14 m/s replaces wind varying from 11 to 14 m/s from 40 to 120 meters height. 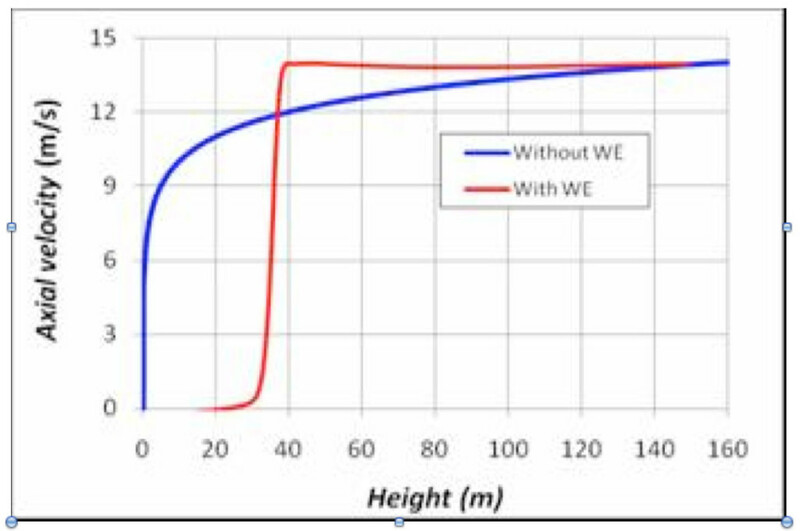 Figure 5 shows the CHANGE made by the Wind Energizer. Note that it is almost the opposite of Figure 5 on the left, which shows the normal distribution of wind. Combining Figure 4 and 5a, one gets Figure 5b, or more uniform wind. It is well known in the wind industry that is the cause of much turbine breakdown and maintenance. This should extend turbine life.